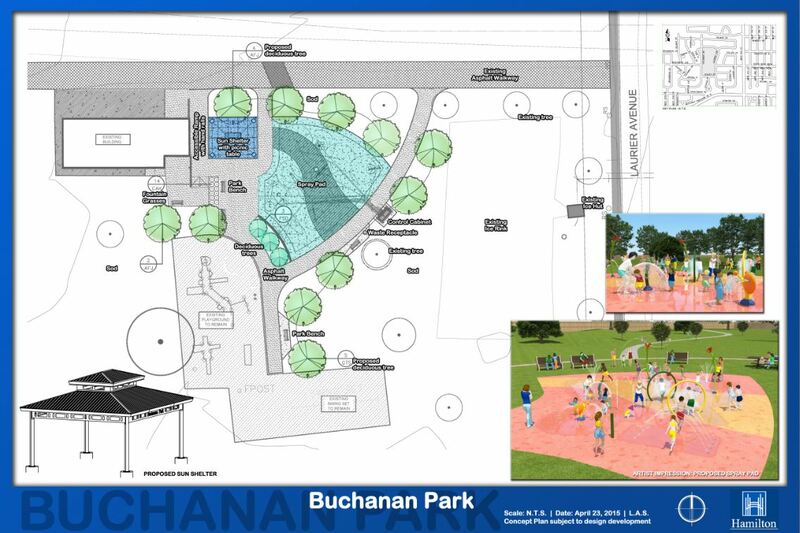 Construction for the redevelopment of Buchanan Park started on October 13, 2015. It is expected to be substantially completed by May/June 2016, weather permitting. Construction is done by Oakridge Landscaping Group Inc.
Local residents may experience some inconveniences such as noise, dust and traffic restrictions. Buchanan Park is a 2.75 ha sports park located at 111 Columbia Drive, Hamilton. It has several diamonds, a soccer field and a playground with a play structure and a swing set. Buchanan park is used by the City's Supie Program in the summer and also by students of the Buchanan Park School. The field house is mainly used by the Buchanan Park Sports Council and secondary by the Buchanan Park Women's Baseball Association. It has a large open meeting room with access to men's and women's washrooms, a small storage room, an electrical room and a small kitchen.